Before you upload in the server, list here what you're gonna upload to avoid double uploads of the same series unless they are in different qualities. And state what format and quality are they. High Quality has large filesize but very very good quality like avi, mkv ogm, and mp4. Dvdrips is included in this group. As for Low Quality, they are files which is encoded and not in their original format & size like rmvb, mp4[small filesize], mkv[small filesize] and wmv. If one is taken already in the High Quality, then the only option to upload into, is in the Low Quality Folder. So say what you're gonna upload, so others won't upload it too. 1. Do not upload incomplete series unless it's ongoing. 2. Do not upload series in different formats like the first 3 eps are in avi, and the rest is in mkv. That don't seem like a good idea. 3. Upload your files in the right place. Do not mistake ongoing animes in complete series but ongoing uploads. 4. Separate specials/ovas in the series. 5. 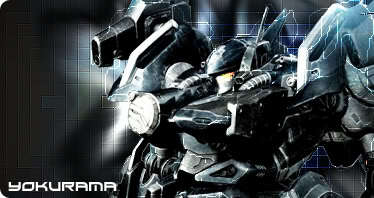 If your file has a long name like "Full Metal Panic". Rename it to "FMP 01", "FMP 02". And so on before you upload it. The thought of a long url is not a good idea. But If it's one word like "Karas", then do "Karas 01"
6. If you're going to upload an ongoing,make sure it's updated every week. 7. Do not upload and then leave it incomplete. Note: I will make a list of the animes taken already. that's my list for right now.. I only upload what hasn't been uploaded yet anyway. Also, I've already posted a prior list of what I will upload back on Anime-List. I'll see about copying it here. actually I still have other anime series but I'm busy until sometime in February so I'll upload more later ... uh when do we start uploading to the servers? anytime you can, hehe, actually some uploaders are already uploading their stuffs.